There is one submission link for both of the above stated meetings. During the submission process, you will be given the option to select one or both meetings. 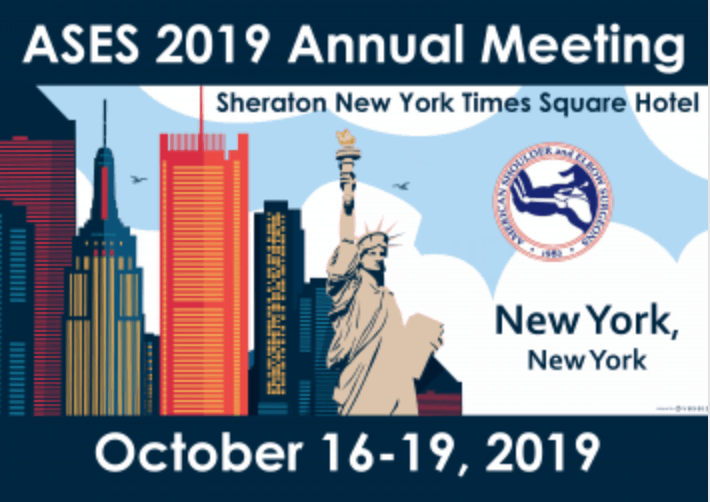 Please Note: Annual Meeting submissions MUST have an ASES member as an author/co-author that will be available to present or the paper will not be considered for the Annual Meeting. You may use the following link for abstract submissions: Call for Abstracts. As an FYI: You may submit the same abstract to both meetings, should you choose to do so. However, should your abstract be selected, you will only be eligible to have your paper presented during one of the above stated meetings, not both. The program co-chairs will make the determination which meeting will be better suited for your abstract. The deadline date for all abstract submissions is Wednesday, May 1, 2019, 11:59pm CST. Thank You! Experience extensive time in the cadaver lab and interactive case-based lectures featuring ample time for discussion, questions and exposure to the leading faculty renowned in their field, including three Arthroscopy Association of North America past presidents. This course offers the opportunity for participants to observe and practice cutting-edge arthroscopic surgical techniques including SCR, nerve releases and arthroscopic bone block stabilization. Register now and save $200 by entering code 904SHOULDER at checkout! 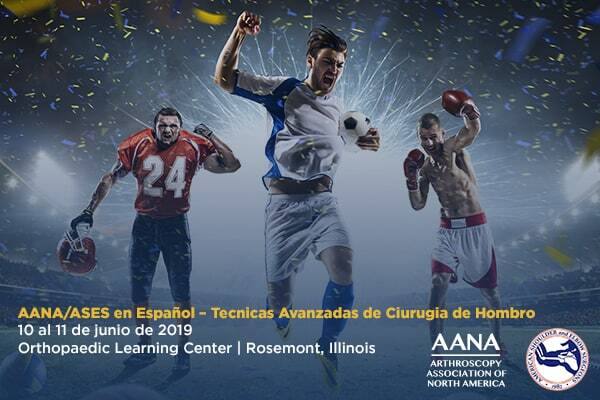 Técnicas Avanzadas de Cirugia de Hombro, (Advanced Techniques in Shoulder Surgery), is an innovative and unique 2-day course dedicated to shoulder arthroplasty and arthroscopy that is joint sponsored by AANA and ASES. It will include such advanced techniques as Arthrosocpic Latarjet and dealing with complications as well as glenoid bone deficiencies with Reverse TSA. The course will be held at the OLC in Rosemont, IL, and will be presented entirely in Spanish to a Spanish-speaking audience to achieve a deeper and more comprehensive learning experience. 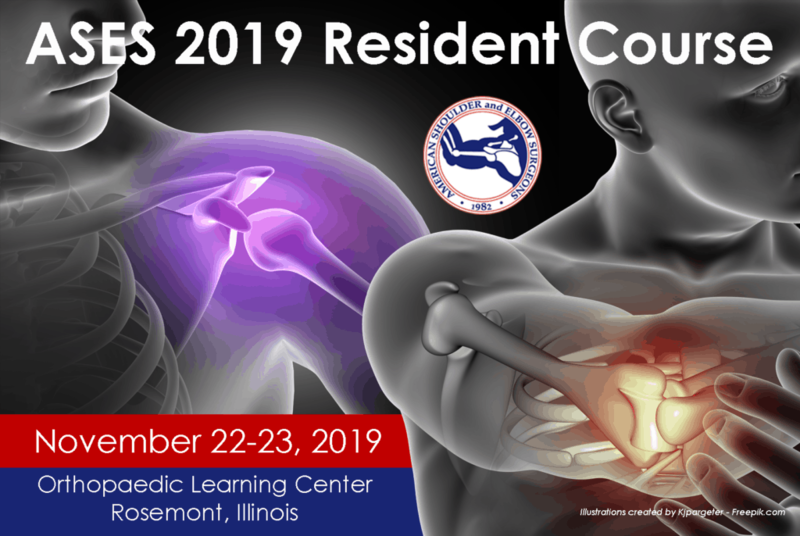 Faculty include internationally recognized authorities in shoulder surgery from the US, Latin America, and Spain who will share their experience through didactic lectures, panel discussions, and extensive cadaveric lab sessions that cover all of the latest techniques in shoulder surgery. 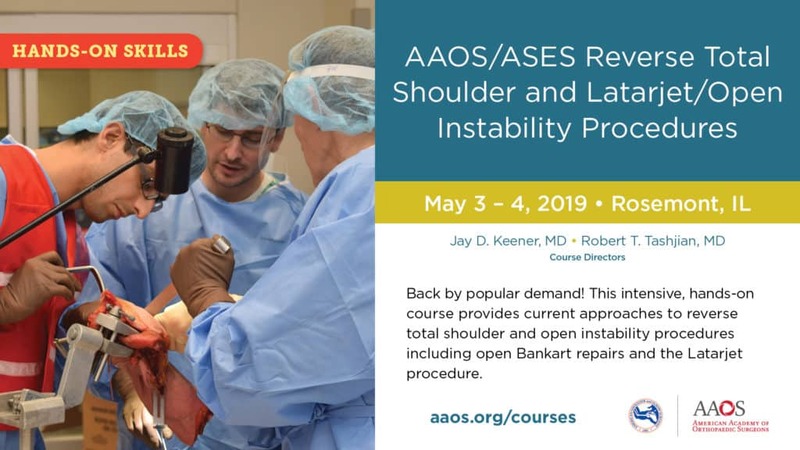 As thought leaders in the world of shoulder surgery, AANA and ASES hope that the continued dissemination of advanced techniques to an international audience will improve surgeons’ abilities to provide complex patient care in a more global fashion. The American Shoulder and Elbow Surgeons is partnering with the San Diego Shoulder Institute on a symposium for graduating Shoulder & Elbow and Sports Fellows. The ASES Fellows Symposium will be held on Friday, June 21, 2019, at the Annual San Diego Shoulder Institute (SDSI) in San Diego, CA. The symposium will feature short presentations by fellows who submit abstracts for consideration, and are accepted, culminating with the Robert H. Cofield, MD, and Richard J. Hawkins, MD, Awards. The abstract submission page is now open. Please have your fellows submit their abstracts through the following link. The deadline for submissions is Sunday, March 31st. In Spring 2018 the ASES leadership carefully evaluated several data management web-based systems that would allow ASES members to collect and analyze patient reported outcome data as well as promote the use and improvement of PRO’s in clinical care. After a thorough evaluation, the ASES leadership chose 2 systems: Surgical Outcomes System™ and OBERD. Please consider supporting the ASES Foundation by making a donation today!